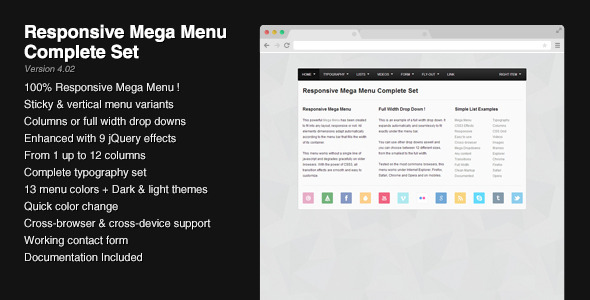 13 items tagged "Mega Menu"
Create Beautiful MegaMenu navbar for your site. 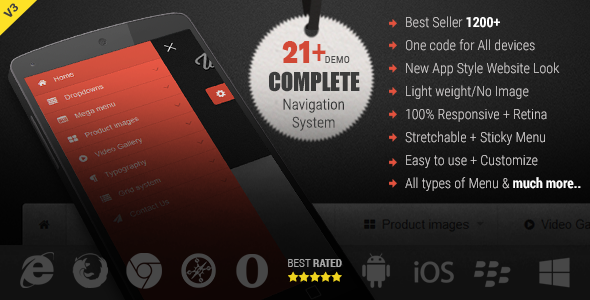 Using CSS3 Animation & Small Java Script It provides a modern app style navigation look in your website. Web Slide 100% responsive layout design. MegaNavbar is pure HTML5/CSS3 navigation component, that use the standard navbar markup, and the fluid grid system classes from Bootstrap 3. Work for fixed and responsive layout, and has the facility to include other Bootstrap components. 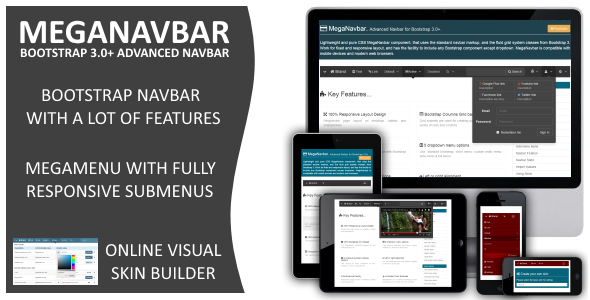 MegaNavbar is compatible with mobile devices and modern web browsers. 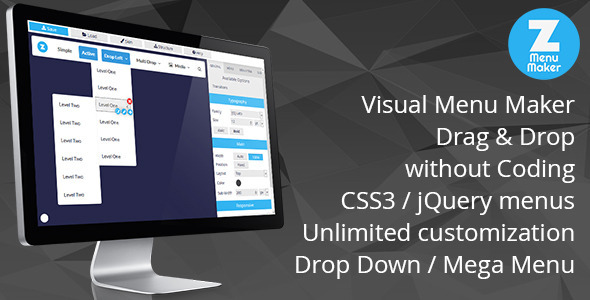 This Mega Drop Down Menu Complete Set is perfect for creating unique menus by using one of the 9 jQuery effects and one of the color schemes. 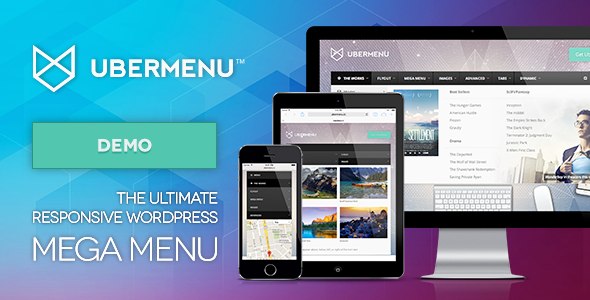 Supermenu is a Wordpress Megamenu plugin. It is lightweight, responsive & offers a huge variety of options. 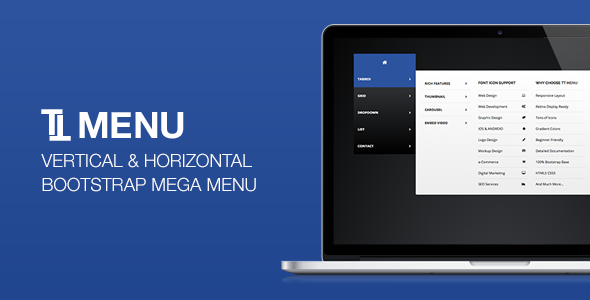 The TT Menu is a professional CSS jQuery Mega Menu plugin compatible with Bootstrap. 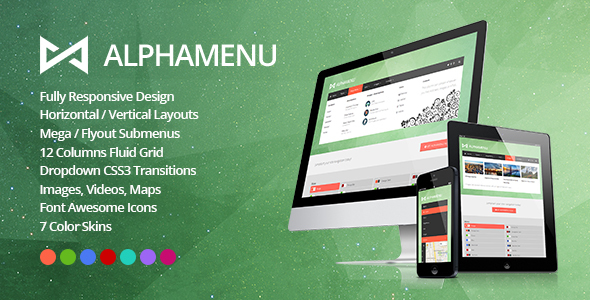 This menu comes with vertical, horizontal and sticky version and 8 different color schemes. 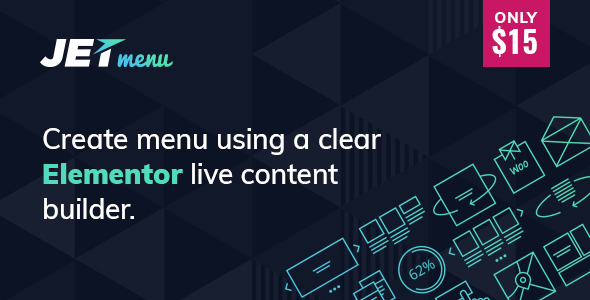 You can build your own mega menu with our amazing TT Menu plugin. This menu comes with detailed documentation, when you have any questions, just drop a comment or send me an email. 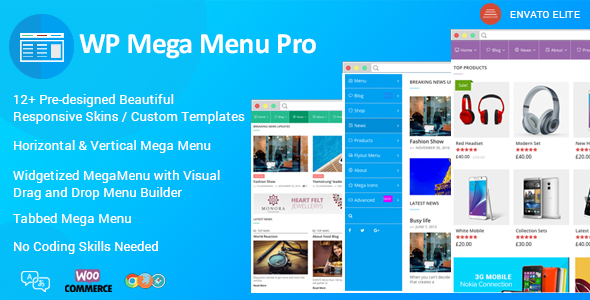 This menu is the result of a combination of my best works on Codecanyon : I’ve put together a flexible mega menu system that can hold 12 sizes of drop downs, unlimited fly-out elements combined with a jQuery script to enhance the whole system.